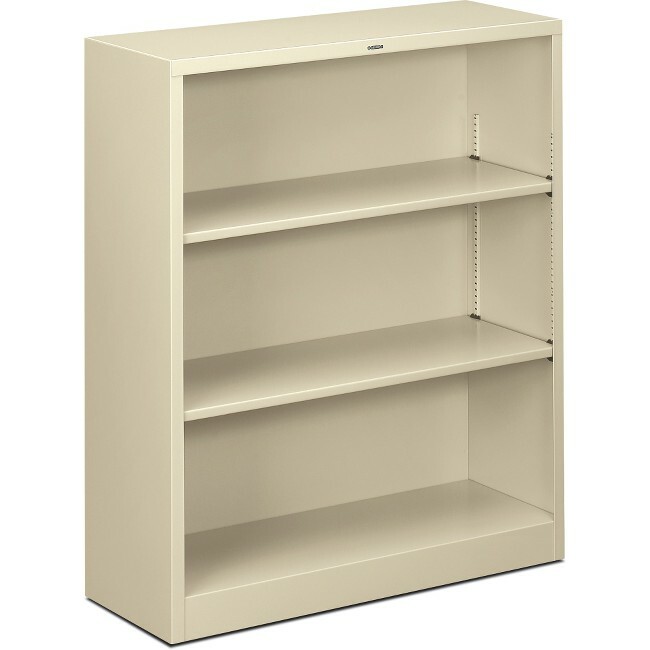 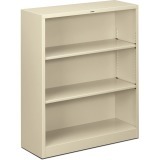 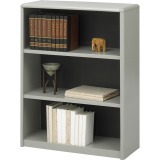 Eminently practical and useful steel bookcase offers long life with its heavy-duty construction. 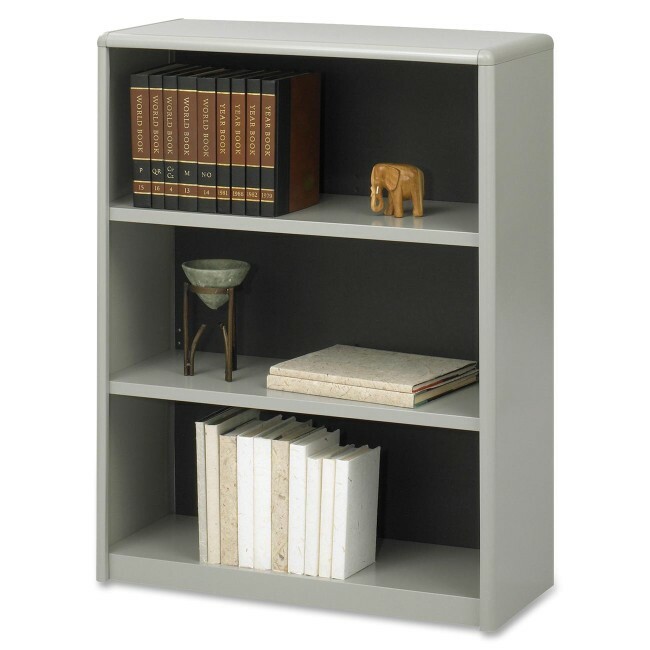 Heavy-gauge steel frame has a baked enamel finish over rust-inhibiting, phosphate pretreatment. Shelves with generous depth hold plenty and are ideal for smaller spaces. Adjust the movable shelves in 1/2" increments to accommodate any size item. 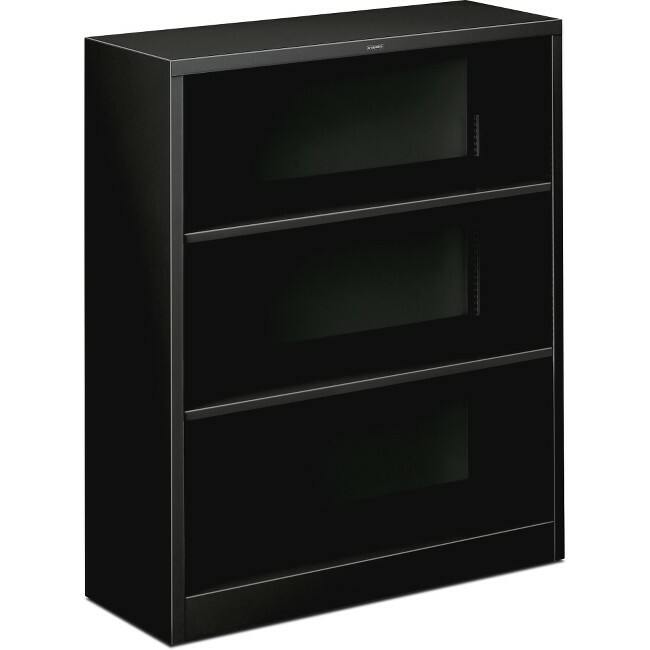 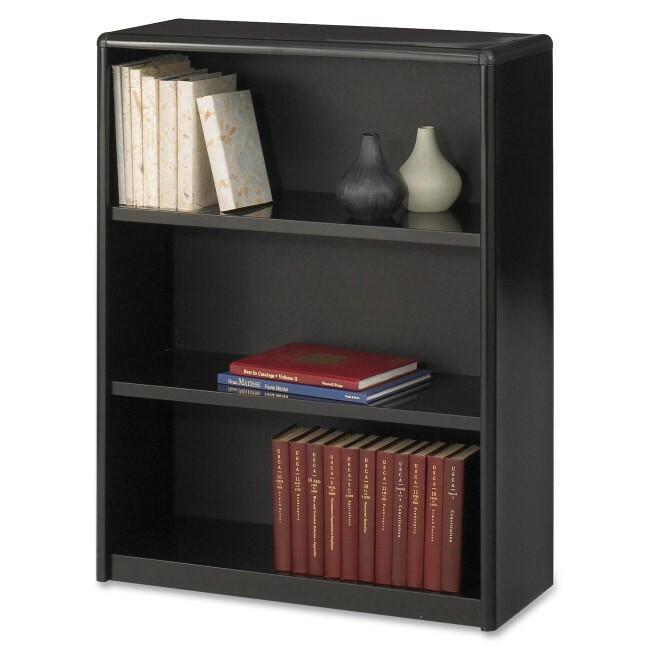 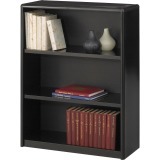 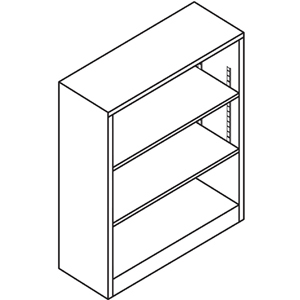 Black three-shelf bookcase has 12-1/8" deep shelves, including the fixed bottom shelf. 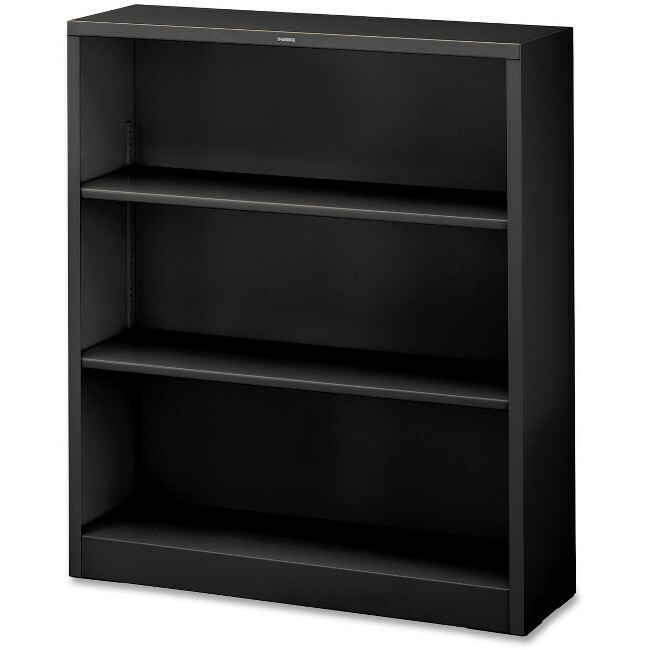 Each shelf holds up to 82 lb.